Located in Swindon, England, Dr. Alison Brooks made the switch from general practice dealing with Britan's NHS to focus entirely on cosmetic medicine. Let us know more about your journey to cosmetic medicine. I have a lot to thank my sister for as it was her who got me started! She got divorced in 2005 and was back out on the dating game so decided to get some botox and fillers to help boost her confidence. When she told me about the experience saying that the person who administered her treatment was a General Practitioner this got me thinking and stimulated me into considering training to do this work. Almost immediately I looked up on the internet how to get trained in toxin and filler administration and I booked on a course with Adrian Richards – a plastic surgeon in Buckinghamshire. I spent a day training. I then came home and contacted two local beauty salons to ask if I could use their premises on a fee per patient basis. I started advertising in a local magazine and set up a website. For the next two years I gradually built up a small practice in the two salons, which was in addition to my usual work as a General Practitioner. In 2008 I bought a second hand laser/IPL machine from a local colleague, which precipitated a change in premises as I had to register my clinic with the Health Care Commission and I would never have been able to do that whilst working out of the two salons. So I approached The Shalbourne Suite, which is the private wing of the local NHS Hospital and asked if I could hire a room for a few hours a week. They agreed to this and I then spent the next 8 years working there, gradually building up to two really busy days a week. I gave up General Practice finally at the end of 2014 and haven’t looked back since. I have just moved into high street premises in Swindon, having taken a 10 year lease on a old property above a shop and completed a complete refurbishment on it. It has 3 clinic rooms, an office, reception room and a waiting room and is just about perfect! What could you tell about your clinic? Currently the clinic consists of me and my clinic manager, Debbie. She has worked for me for 6 years and now does all her back office work whilst sitting in the reception room greeting patients and answering the phone. We are in the process of taking on two other new aesthetic doctors to do half a day per week, as well as a receptionist and a laser trained beauty therapist. We open 4 days per week with two late evening till 8pm every week. We are located on a lovely street In Wood Street, Old Town, Swindon with a number of cafes, delis, restaurants etc. Wood Street is the most prestigious street in Swindon and is definitely the best location for a high end Medical Cosmetic Clinic such as Mirabel. We offer the usual toxin and filler injections, Laser and IPL for skin and hair as well as tattoo removal. I also do chemical peels, diathermy for minor skin lesions, Dermapen for scarring as well as Sculptra and Silhouette Soft thread lifting. We have a new Lipomed cryolipolysis machine that is waiting for a therapist to operate it! We have a database of about 2000 and I usually see about 40 to 50 patients per week but these numbers are expanding rapidly. Our patient demographic is mainly female with an age range of about 35-65. Tell us about your staff also. I have been very fortunate in finding a very good friend who has now become my irreplaceable Clinic Manager. I remember asking Debbie about seven years ago if she could spread the word about my need to find someone to do my back office work of filing and accounts. She suggested herself and I laughed saying that I thought she was overqualified for the role. She persuaded me to take her on and it has been the most amazing journey for her and me. She is one of the most organised and reliable people I know and is an incredible manager. I genuinely could not have developed the clinic into what it is now without her. We are now taking the next step of hiring staff and I am very aware (from other doctors in this business) of the pitfalls. Watch this space…..! Which technologies do you use in your practice? I have a Lumenis Quantum IPL and Laser multiplatform machine which I bought second hand in 2008 which I am very fond of and use a lot. I do IPL for hair removal and skin rejuvenation and it has an ND Yag head which I used for deeper thread veins and a Q-switched ND Yag head which I used for blue/black tattoo fading. I bought a second hand Alma Soprano Hair Removal diode laser for hair removal in sensitive areas and on darker skin types. I love this machine but use it less at the moment and will hand this one on to a laser therapist to administer treatments shortly. I also bought a new Lipomed machine last year but have yet to get going properly with this as it will be a therapist administered treatment. I am constantly on the look out for new machines and have considered getting a radiofrequency machine for skin tightening and more recently have looked at the new plasma soft surgery devices for non-surgical blepharoplasty and removal of benign skin lesions such as seborrheic warts. That said, buying new machines is a bit of a minefield. The reps will tell you that you will recoup your money in six months and that never happens! I find getting truthful advice about expensive machines is very difficult. I mainly take advice from other medical colleagues in the cosmetic medicine world. Any marketing strategies that work for you? I think marketing is a very difficult thing to get right. I and all my friends in this business have, at some point in our careers, been sold advertising in magazine and locals papers (at great expense) which have made absolutely no difference to our turnover! At The Mirabel Clinic do a little advertising in a free local paper and have a good website with some online selling. We don’t do much in the way of social media marketing and know that we should focus more on that area. The one single thing that made the biggest difference was investing in a radio ad on a local radio station. We have used this for the last 4 years and it constantly brings more custom into the clinic and has paid for itself several times over in terms of new customers and repeat business. Which procedures do most of your patients undertake? Without a doubt toxin treatment is the most profitable treatment I do, followed by dermal fillers and then IPL treatments. My least profitable treatment is in fact laser tattoo fading which is almost a non-profit making enterprise. I had to replace my Q-switched laser head last year and had a good long think about whether it was worthwhile, from a commercial perspective, to carry on doing tattoo fading. In the end I felt that I could not let my patients down and bought another head! It is a pro bono treatment but it makes me feel better about myself. I have just started Silhouette Soft Thread Lifting and am really enjoying the new technique. It definitely helps with the lower half of the face and I sell it as the only treatment I have in my armoury of non-surgical treatments that will do much for the jowls. The next step is really plastic surgery, and that is not for everyone. Any stories you would like to share as a physician in cosmetic medicine? I definitely have some stories of strange characters who have turned up in my clinic asking for unusual hair removal treatments and I remember one particular time early on when my children were very small and I was still taking calls for appointments on my personal mobile. I was in the changing room of a local swimming pool getting the children dressed when I took a call from a rather breathless man asking if I performed certain unmentionable services. I was so flustered that I almost dropped the phone and a baby too! I said “No!” and put the phone down feeling very shaken but I did have a good laugh about it later. What is your advice to your fellow physicians? Be brave. It is quite terrifying stepping out into the big commercial world – especially in the UK where most doctors are NHS employees. The rewards from growing a successful business can be huge, both financially, and in terms of your own personal self-esteem. Take a big breath and do it. Dig deep and you will surprise yourself. Dr Brooks set up Mirabel Clinic in 2006 after completing advanced training in cosmetic injection and filler therapies at an expert training course run by a team of Consultant Plastic Surgeons. She completed her laser training in 2009. Dr Brooks is a member of the British College of Aesthetic Medicine, regularly attending conferences and training updates to learn about the latest advances in cosmetic medicine and laser treatments. 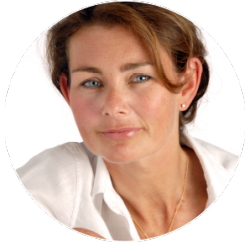 Dr Brooks always offers free initial consultations as she feels that it is very important to advise you on the most suitable treatments, tailored to your individual requirements, before any committment is made by you.